Almost all Canadian mortgages are “full recourse” loans, meaning that the borrower remains fully responsible for the mortgage even in the case of foreclosure. If a bank in Canada forecloses on a home with negative equity, it can file a deficiency judgment against the borrower, which allows it to attach the borrower’s other assets and even take legal action to garnish the borrower’s future wages. In the United States, we have a mix of recourse and non-recourse laws that vary by state, but even in recourse states, the use of deficiency judgments to attach assets and garnish wages is infrequent. The full recourse feature of Canadian mortgages results in more responsible borrowing, fewer delinquencies, and significantly fewer foreclosures than in the United States. This is weird in so many ways that it is hard to know where to begin, but grant him his general proposition: There is indeed something problematic about the asymmetric heads-I-win, tails-you-lose structure of non-recourse finance. The trouble is, once you start looking for it, you find "non-recourse" under almost every rock in the capitalist garden. I'm sure Perry would be happy to show you how the same problem underlies the bankruptcy discharge, where the debtor gets to walk away from his just debts. I'll bet (although I do not know) that he feels the same way about bank insurance, like the free-handed taxpayer guarantees that allowed the mischief-makers to bring down the Savings & Loan industry in the 80s/90s. But it doesn't stop there. When I buy a call option on LittleCo stock, I acquire the right to take the stock or throw it away--analytically no different from my right when I buy my home on a nonrecourse mortgage. I have not heard Perry howling for the abolition of the conditional claims market, and I am not holding my breath. Or consider the corporate limited liability form itself, the greatest social invention, so Bertrand Russell is supposed to have said, of the 19th Century. Restated: the equity stake in a leveraged company is a call option on the assets--you can take or walk away, just as with stock options, just as with the nonrecourse mortgage. Probably nobody ever understood this better than the bankers. 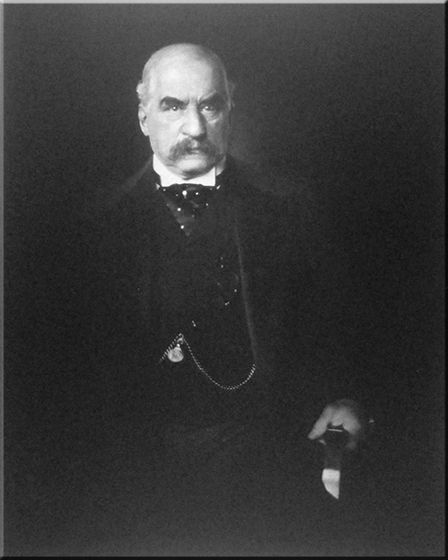 Look at that picture above of Mr. Banker Himself, J.P. Morgan Jr. Why does he look like he is ready to explode? Because it's his own skin in the game. He was a general partner. If the deals went sour, he stood to lose every penny. No wonder he was a prudent lender. No lwonder he staked so much on personal character. Sadly, his successors appear at last to have grasped the full implications of his insight. What caused the late meltdown? Of course you can't bring it down to one cause, but if you had to name just one, I'd say--incorporation of investment banks, the great tectonic shift from unlimited to limited liability. * That's when the bankers stopped having skin in the game: when they shifted to heads-I-win, tails-you-lose. They bankers didn't worry about taking lunatic risks because they knew the downside was yours, or rather ours (indeed, any first semester MBA student can show you, the greater your capacity to shift he losses, the greater the inducement to take a risk and the more lunatic the risks you take). I grant, there is a great puzzle here: why do shareholders get bankers get away with it--or more generally, why does anybody ever buy stock in a bank? But the same specter haunts Perry's argument: if banks operate in a regime of nonrecourse finance, you'd think it would make them more cautious in their lending, more prudent in protecting against risks that they couldn't offload. I don't know the answer to that, but Perry doesn't even seem to notice that it is a problem. 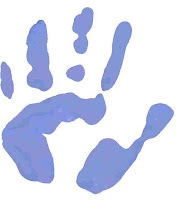 Afterthought: and how could I have forgotten the biggest nonrecourse of them all? *I first grasped this point in reading Barry Ritholtz' Bailout Nation, though I am not sure he would press it quite as far as I do. Update: Returning visitors will note the vastly improved glower on the face of JPM, but what is it with the knife? So asked participants at yesterday's same-named conference (prior post) organized by our colleague Anupam Chander and sponsored by the Law Review here at the University of California, Davis, School of Law (Martin Luther King, Jr. Hall). The last "American Century" and the "British Century" that preceded it were different from this notion of an "Asian Century," Keith said. Those others concerned a nation-state; this concerns a continent. It is persons in the West who put forward this notional Asian Century. Who treat "Asia" as a single entity rather than a mass of entities, as an it rather than a them. Who, at times, see its rising economic power, its rising population, its politics, as potential threats. Is it possible that those earlier centuries, named as they were with state-centric particularity, were constructs of their subject namesakes? Possible that the objects of those other centuries aggregated threats much like some of us now do "Asia"? From the perspective of those object persons, might the 1800s and 1900s have been, simply, back-to-back Western Centuries? Even when pondering with particularity, did the object persons of the 20th view it not as the American, but perhaps as the Russo-American, Century? Was the British Century a construct of Britain? Might objects of that 19th Century -- persons, say, colonized in Portugal-controlled Africa -- have seen it instead as the European Century? Or perhaps as the Colonial Century, as a time defined less by geographic map and more by method of governance? Perhaps this 21st Century aggregation says less about "Asia" than it does about our mindset -- about how some in the West seem already resigned to an object status. That resignation may prove premature. The final panelist, Tom Ginsburg, reminded that other such prognostications have fallen flat; for instance, past predictions that Japan, Egypt, even Sri Lanka or Burma, would win dominance. Tom's own prediction: Asia will not aggregate into a supranational entity. Some of the many countries in that part of the world indeed may attain power. But they will wield it, Tom ventured, in ways that reinforce the old, the 17th Century, model of independent, noninterference-prizing nation-states. In store in the 2000s may be not so much an Asian Century as -- to borrow Tom's coinage -- an Eastphalian Era. Next Monday, the Supreme Court hears oral arguments in U.S. v. Skilling (yes, the Enron guy). This is like the Winter Olympics for white-collar crime, because it challenges the constitutionality of an important and controversial prosecutorial tool. The Court is clearly interested in this statute, as it's the subject of not one, but two other cases this term. By writing the statute, Congress didn’t really clarify much, however. 1346 only says mail fraud includes the theft of “honest services”--it doesn’t define “honest services.” Unfortunately, the pre-1987 courts that accepted the “honest services” theory didn’t clearly define it either. The law of theft has historically evolved from covering only violent takings of property to covering deceptive takings of property to covering deception that has intangible and abstract effects—this last category is of course hard to define. On the one hand, that shows law has become more flexible and attuned to reality. On the other, the government may be unfairly expanding its power to punish. Of the three "honest services" cases this term, Skilling is the big one because a. he's the Enron guy; and b. the other two cases present more specific challenges to the statute. Actually, Skilling’s original petition to the Supreme Court also made a more narrowly focused challenge to the statute. So if the Court uses Skilling to decide the broader question of whether the statute is unconstitutionally vague, it may come in for criticism of being --gasp!-- an “activist” Court—something it was accused of when it invalidated the corporate campaign finance statute in its recent Citizens United v. FEC decision (my thoughts on other matters in that case are here). Last November, the Supreme Court heard oral argument in Bilski v. Kappos, a patent case with significant implications. At issue in Bilski is whether a method for hedging risks in commodities trading comprises patentable subject matter. Many have criticized the prospect of granting exclusive rights on processes so divorced from traditional conceptions of “technology.” Others, however, contend that in today’s information economy, such valuable yet intangible innovations should be eligible for patent protection. The patent community is now eagerly awaiting the Supreme Court’s resolution of the case, and much hangs in the balance. Commentators argue that Bilski could affect the patentability of everything from business methods and software to diagnostic tests and medical correlations. The case has attracted dozens of amicus briefs from parties such as the ACLU, American Express, Microsoft, IBM, and Yahoo!. I offer no predictions on the Supreme Court’s substantive resolution of Bilski, but I do wish to highlight one methodological point. In prior proceedings, the Federal Circuit had denied the patentability of this invention based on its newly-articulated “machine or transformation test.” According to this test, a process is only eligible for patenting if 1) it is tied to a particular machine or 2) it transforms a particular article into a different state or thing. In many ways, this test reflects the Federal Circuit’s well-recognized preference for formalistic patent doctrine. In a variety of areas, the Federal Circuit has crafted bright-line rules that limit inquiries to a few core questions and discourage consideration of “extraneous” context. Among other functions, such formalism partially shields judges from technologically difficult inquiries about patented inventions. For example, the Federal Circuit’s historic approach to patent infringement remedies followed a simple syllogism: if infringement, then injunction. According to this formalistic framework, courts would not consider the “value” of a patented technology or its social importance in determining whether to grant an injunction; they would issue such relief almost as a matter of course. While the Federal Circuit favors formalistic rules, the Supreme Court’s recent forays into patent law reflect a preference for holistic standards. In areas as diverse as prosecution history estoppel, nonobviousness, and remedies, the Court has produced doctrine compelling judges to delve deeper into inventions and their technological context. These methodological observations add another layer of complexity to Bilski. Substantively, the patentability of “intangible” processes has significant implications for the financial services, information technology, and biomedical industries. However, whether the Supreme Court answers this question with a holistic standard or a set of bright-line rules may significantly impact the administration of patent law. Among other effects, the Supreme Court’s preference for holistic standards invites greater judicial engagement with technology and its context. In the realm of cutting-edge innovations, such contextual engagement can significantly increase the difficulty of adjudication. (Indeed, there is some indication that lower courts have struggled to apply the Court’s recent holistic standards.) Thus, while observers are eagerly awaiting the Supreme Court's substantive resolution of Bilski, the form of the Court's ruling may matter a great deal as well. I have been intrigued by the attention national media have given this week to a criminal trial in West Texas. Ann Mitchell, an administrative nurse at the community hospital in Winkler County, went on trial in state court charged with "misuse of official information," a third-degree felony that carried a possible fine of $10,000 and up to 10 years in prison. The charges stemmed from an anonymous letter that Mitchell and another administrative nurse wrote to the Texas Medical Board. In it, they called the Board's attention to irregularities in how Dr. Rolando G. Arafiles was practicing medicine at the hospital where they worked. The nature of the irregularities and report are described in a New York Times story as "a pattern of improper prescribing and surgical procedures — including a failed skin graft that Dr. Arafiles performed in the emergency room, without surgical privileges. He also sutured a rubber tip to a patient’s crushed finger for protection, an unconventional remedy that was later flagged as inappropriate by the Texas Department of State Health Services." The nurses believed they were under a professional obligation to make the report, but following it, the Winkler County Sheriff's Office seized their work computers and arrested them. The local prosecutor subsequently charged the nurses with the third-degree felony, and the Winkler County Hospital fired them. Those consequences apparently unfolded after the Medical Board notified Dr. Arafiles of the anonymous complaint and he told his "friend, the Winkler County sheriff, that he was being harassed. The sheriff, an admiring patient who credits the doctor with saving him after a heart attack, obtained a search warrant to seize the two nurses’ work computers and found the letter." The prosecutor says that Mrs. Mitchell has a history of making "inflammatory" statements about Dr. Arafiles and that she did not make the report in good faith. To establish the felony charged, however, the State must prove that she disseminated confidential information for a "nongovernmental purpose" with intent to harm Dr. Arafiles. The prosecutor dropped charges against Mrs. Mitchell's colleague just before the case went to trial. A jury in neighboring Andrews County acquitted Mrs. Mitchell on Thursday. The jury voted unanimously on the first ballot to acquit the nurse and questioned why she had ever been arrested. Read more here. New York Times reporter Kevin Sack observed that "seeming conflicts of interest are as abundant as the cattle grazing among the pump jacks and mesquite" in the small town of Kermit, population 5,714, where these events unfolded. Indeed, subsequent reports reveal an additional conflict: according to filings in a federal case the nurses have brought against Arafiles, the Sheriff, and Winkler County, the Sheriff is a partner in Dr. Arafiles' herbal supplement business, a business that Arafiles promoted in emails to patients. Despite the obscure locale of these events--or perhaps because of it--the New York Times published three items about them last week. The paper reported last week-end on the impending trial of Mrs. Mitchell, and later in the week it reported the not-guilty verdict. In between, it published an editorial commenting on apparent flaws in the prosecution and the chilling effect it might have on whistle-blowing. The first NYT story about these events inspired this blog post on my Legal Ruralism blog, and I was especially intrigued that the story attracted as much attention as it did. On the day it appeared, it rose as high as number 2 on the "most emailed" list at nytimes.com, and it stayed on the top-10 list for nearly two days. I attributed the high degree of interest to the broad headline, "Nurse to Stand Trial for Reporting Doctor." Many doctors and nurses all over country were presumably taking note of this unusual event and sharing the news. But the New York Times reporting and editorial suggest several ways in which this story is distinctly "rural" or "small-town." In addition to referring to the apparent conflicts of interest, Sack's reporting refers to the "stained reputations" of the nurses and how "heads turn when they walked into local lunch spots." He also reports the practical difficulties that rural hospitals like that in Winkler County have in attracting and retaining physicians; indeed, Dr. Arafiles came to the hospital in 2008 with a restriction already on his medical license. The trial was moved to neighboring Andrews County because it "polarized the community." Finally, the New York Times editorial suggests that "small-town 'justice'" was the problem. So, is there really something distinctly "rural" about this story, or could it happen anywhere? Clearly, it could happen anywhere, though I tend to agree with the Times' suggestion that the rural context facilitated this unusual prosecution. Rural sociologists and other scholars who write about rural-urban difference have discussed a number of factors apparently at play in these West Texas events. These include lack of anonymity and conflicts of interest that sometimes result from it; rural disadvantage in terms of access to services such as medical care; a lack of checks and balances in rural local government and a related failure of local government to protect civil rights. In this case, heightened reputational injury associated with lack of anonymity and the inability of the dismissed nurses to find replacement jobs because of the limited labor market presumably increased the damages they suffered. This little case out of Kermit, Texas thus illustrates how various characteristics of rural places can be legally relevant in a variety of ways. Some of the challenges associated with rural lack of anonymity were apparently mitigated by the change of venue. Whether law and legal actors adequately respond to other challenges associated with rural places--such as those that seem to have aggravated the nurses' damages--may be evident when their case against the various officials is tried or settled. Cross-posted to Legal Ruralism Blog. Is Obama blowing his big lead? My friend Ivan passes on some contextual data from the Lyndon Johnson years. In 1965 the first session of the Eighty-ninth Congress created the core of the Great Society. The Johnson Administration submitted eighty-seven bills to Congress, and Johnson signed eighty-four, or 96%, arguably the most successful legislative agenda in U.S. Congressional history. But it didn't last. In 1966, the Dems followed up on their 36-seat gain with a 48-seat loss. They retained a majority in the House, but greatly depleted. Remarkably, they lost only three seats in the Senate and retained a 64-36 seat edge. And for what it is worth: the three Republican newcomers were Mark Hatfield of Oregon, Charles Percy of Illinois and Howard Baker of Tennessee--any one of who would probably qualify as a bomb-throwing lefty revolutionary by the standards of today's GOP. Ivan adds: "if you are going to lose big anyway, isn't it better to have given America the Voting Rights Act, Medicare, Head Start, food stamps, NEA, PBS, the Wilderness Act?" Followup: I suspect that you can ascribe the 1966 collapse to two factors: one that the 1964 victory was just abberationally large, and 1966 was a kind of reversion to mean. And two, the great gorilla in the room was the Viet Nam war. Johnson had rolled to reelection in large part by exciting fears that his adverary, Barry Goldwater, would be a war president. And then Johnson became, in the eyes of many, as much as or more of a war president than anything Goldwater might have exemplified. I suspect that Johnson's great success can also be attributed in large part to one salient vector: fear. Johnson is a fascinating guy in so many ways, but one was that he hadn't the least hesitancy about scaring the living daylights out of his adversaries and making them foresee that if they stood in his way they'f find themselves trussed up and cuffed to the doorknob. Others have tried, but I'm not sure any politician since Johnson has used stark terror quite so effectively as he who said "come, let us reason together." Obama Goes Nuclear on Climate Change? President Obama’s State of the Union Address last Wednesday was, like many such speeches, full of generalities regarding the President’s policy priorities. But there were also a few tasty tidbits for those wondering about the fate of climate change and energy legislation. Not surprisingly, the President cast such legislation as a means of job-creation and argued for “incentives that will finally make clean energy the profitable kind of energy.” More interestingly, the President went on to make clear his view that nuclear energy should be a critical component of clean energy initiatives. While Secretary of Energy Steven Chu has been a steady advocate of nuclear power, the President’s statement was his most explicit endorsement yet of nuclear energy as a response to climate change. Perhaps the statement was simply a reflection of the political landscape. Although the Waxman-Markey bill passed by the House last June contains few provisions specific to nuclear energy, the legislation currently being drafted in the Senate would remove barriers to and even promote new nuclear plant construction. (For a brief comparison of Waxman-Markey with Senate legislation on this point, see here.) Indeed, three of the key players in the Senate on climate change – John Kerry, Joe Lieberman, and Lindsey Graham – have repeatedly declared that additional nuclear power is essential to reducing greenhouse gas emissions. All of this may give heartburn to many environmental groups, but nuclear energy may be a necessary pill for them to swallow if any climate change legislation is to be had in the near future. The life of a dean at times can be hectic. Last week, for example, I was meeting for wonderful alumni lunch followed by an evening reception with alums down in Silicon Valley. A few days later, I watched alums, students, Professor Peter Lee, and a “ringer” or two play some inspired basketball in a charity tournament for public interest fellowships at the UC Davis School of Laws. Mixing scholarship into the daily routine of activities at times can be challenging for me. Still, a law school dean is a scholarly, as well as an administrative, leader. Consequently, I have tried to maintain something of a research program. Since my research focuses on immigration, there have been plenty of opportunities in recent months to participate in the ongoing national debate over “comprehensive” immigration reform. Last week, I presented a paper at a conference on the drug war, borders, and narcoterrorism at Chapman University School of Law. See here. My paper, entitled “It’s the Economy, Stupid: The Hijacking of the Debate Over Immigration Reform by Monsters, Ghosts, and Goblins (or the War on Drugs, War on Terror, Narcoterrorists, Etc. ),” generally contends that immigration primarily is about the movement of labor across borders in an increasingly integrated world economy, not about drugs and terror. See CHAPMAN_CONFERENCE111 (2)b1.docx (100.60 kb) I cannot say that my ideas were enthusiastically endorsed by allof the audience in Orange County but it was fun to contribute to the discussion. Other participants included former U.S. Department of Homeland Security Secretary Michael Chertoff and Dean John Eastman (Chapman), who stepped down from the deanship over the weekend to pursue a campaign for the Republican nomination for California Attorney General. This week, I am headed to Wayne State Law School in Detroit, Michigan for a Wayne Law Review symposium on immigration reform. My keynote talk with be on Thursday morning and is entitled “Ten Guiding Principles for Truly Comprehensive Immigration Reform: A Blueprint.” See wayne_state1_1-15111.doc (237.50 kb) The paper outlines guiding principles that I contend that Congress should follow in pursuing truly comprehensive immigration reform, not the failed “comprehensive” efforts of the past (such as the Immigration Reform and Control Act of 1986). In January, I had the honor of presenting this paper in January to Justices, judges, and law clerks of the Mexican Supreme Electoral Courts. Immigration is one of the many strengths of the UC Davis School of Law. Professors Bill Ong Hing, Amagda Pérez (who this year won the law school’s Distinguished Teaching Award), Holly Cooper, Raha Jorjani, Cappy White, and Cruz Reynoso all contribute to that strength. The Immigration Law Clinic is well-known for its great work, with a focus in recent years on immigrant detention. 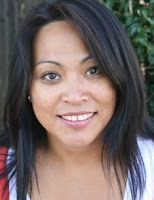 Next year, Leticia Saucedo, currently at the University of Nevada, Las Vegas, will be joining our faculty.